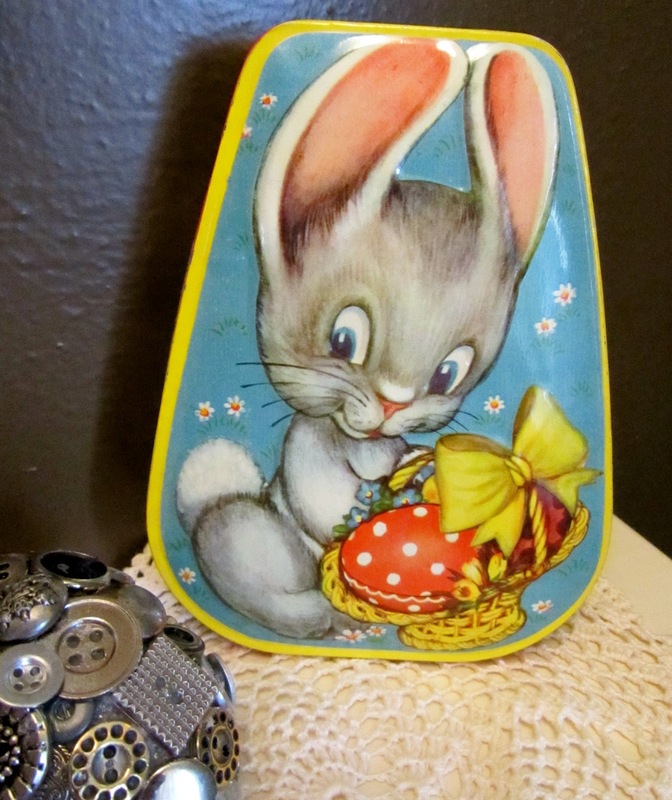 I'm all into vintage, but as I stated in an earlier post, I don't have many Easter vintage items. 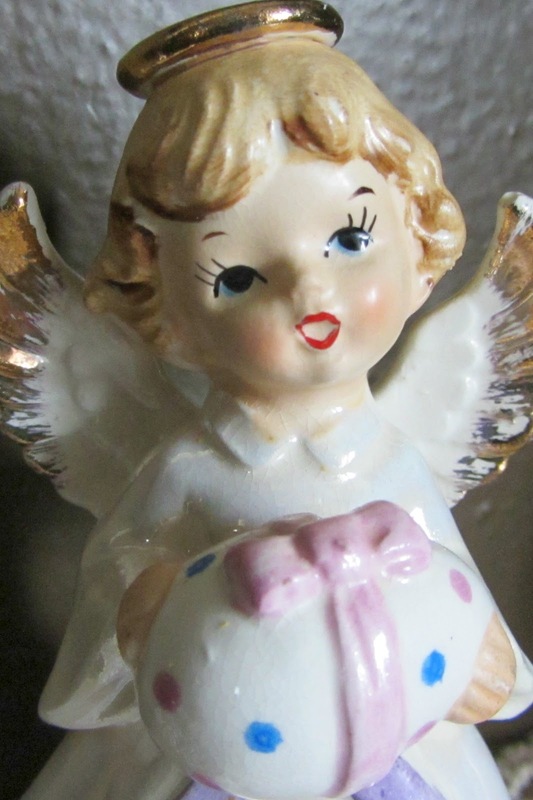 I collect Lefton angels from the 1950's,1960's and 1970's, mostly Christmas porcelain/ceramic angels. Occasionally, I get other holiday angels. I think my Mom gave me this one. This sweet little April angel with an Easter egg wrapped in a bow, is marked "Japan". This is a George W. Horner & Co. Ltd (made in England) Assortment of Toffees tin that is from my childhood. In the foreground, a vintage silver button egg made by me with a styrofoam egg and my button stash. 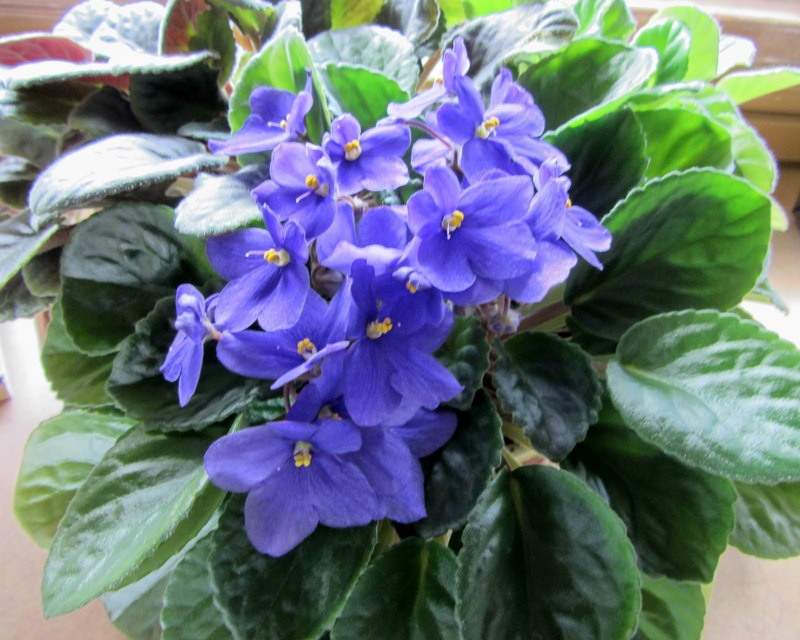 Lastly, I have a vintage bowl that holds three African Violets. Two pink and this purple one. The purple one is in full bloom. I hope you enjoyed this hodge podge blog post! Lefton Angels....Really? My mom had one that she always put out at Christmas time. I will have to see if it is still at the farm. What a sweet memory and now I have a name for her. Thanks for posting. Love your collection!!! 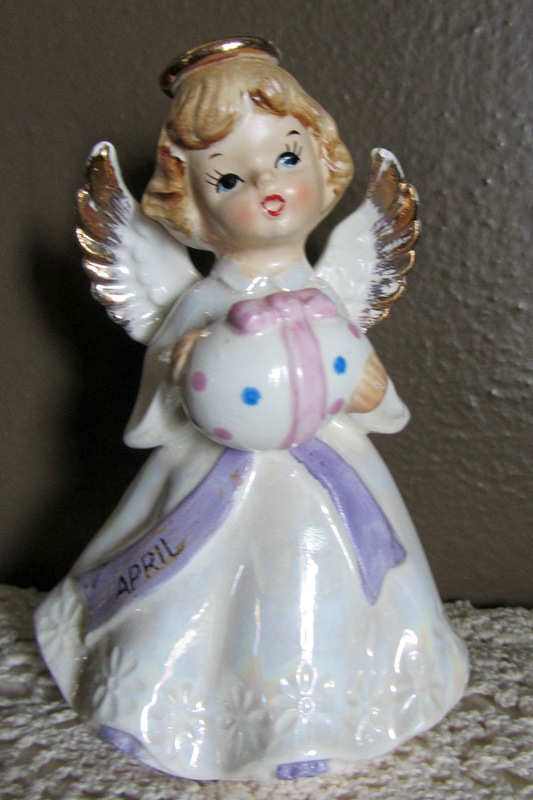 The little Easter angel is darling! Love your collections and the violet is gorgeous! Oh my they are lovely! The little birthday angel is sweet! I love Lefton! 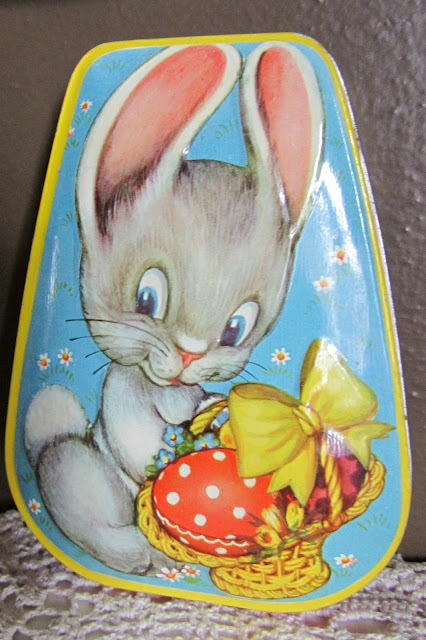 It's neat that you still have the cute candy tin! 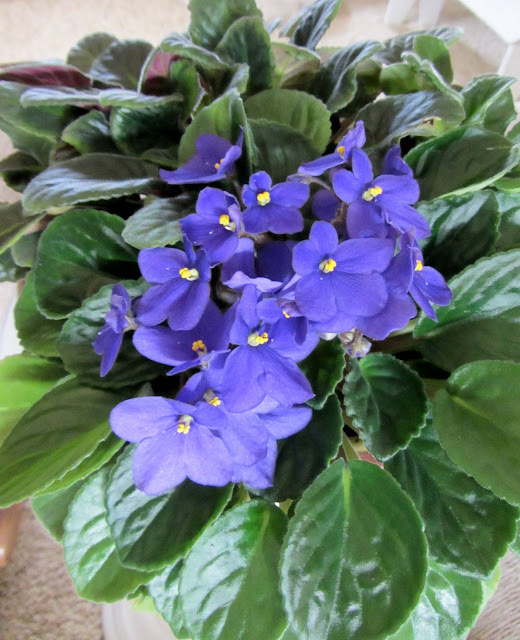 Those violets are beautiful! You must have the perfect light for them. I am your newest follower! Happy Spring!